My car was declared total loss by insurance and when I went Cambridge Hyundai Ahmad and Puneet took care of me. I am really happy with purchase of my 18 Sonata Ultimate. They were really helpful with respect to my paper work and loan formalities as i requested @0% so they put their efforts to be on same page. "Great experience and Awesome new car"
This was my first time buying a Hyundai and was extremely pleased with the service that we received from Cambridge Hyundai. They met all of my needs and then some. Thank you again Gerry for being such a friendly and knowledgeable person to work with. We also dealt with Chop and Charles - both awesome as well. Overall, we are very impressed my car and the service we received. Thanks!!! "Very pleasant efficient staff member helped me"
Took my son's. Elantra in with an appointment Thursday Nov. 29th. Car went right in to service stall.....explained to service person that the radio and other features on monitor had stopped working....he fixed it in a minute and showed me how to reset it by just poking the reset hole with a pen.....on my way in 10 minutes total.....no charge......I was in marketing for Kodak Canada for 25 years and I was really impressed with his attitude . 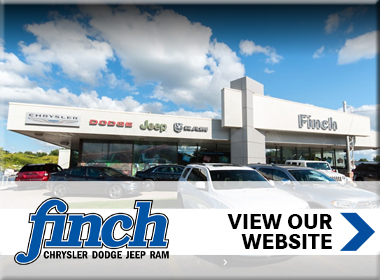 "Amazing experience and very friendly staff!!!" Very outstanding service, my husband and I are very happy to our new purchased Kona 2019. Gerry and Chopra are very friendly and helpful. Amazing experience!!! Wanted the best genesis coupe there was and Kyle Colombo told me all the Genesis coupes were the same except for brakes and tires. Wrong. Brought my car in when another dealer missed putting some screws in the plastic underguard. They helped me out very quickly. Would definitely recommend. Thanks! 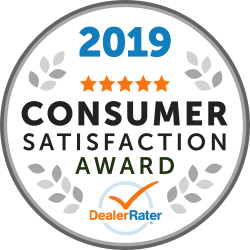 "Genuine service of the rarest form"
I've bought a few cars and I've shopped for many more over my time and I'm pleased to say that the two staff members I dealt with at Cambridge Hyundai deserve my highest praise. Kyle Colombo and Puneet "Chop", are some of the few that stand apart in my mind as being truly dedicated to priority customer service with no ulterior motive. Most dealerships would gladly cut corners, obscure, and manipulate if it meant more profit in their pockets, but Cambridge Hyundai put all of their extra effort into making my experience as pleasant as possible. Everything from additional service, vehicle accommodation, and vehicle attention went over and above my expectations. I highly recommend you ask for them by name and without a doubt you'll receive the same top class service I did! "Fabulous friendly and fast service." We were looking at buying a car in July but we weren't fully sure we were ready. We had visited another dealership but wanted to compare a few before making the jump. From the instant we came to Cambridge Hyundai, we felt comfortable and that we were ready. We worked with Gerry during this process and he was absolutely fantastic. Met our requests and we feel as though he got us the best deal he could! When we were working with Charles crunching numbers, we also had a great experience! He was funny, knowledgable and didn't make us feel like we were signing a death sentence. Would definitely recommend Gerry and the rest of the dealership at Cambridge Hyundai!